Add another agency to the list of those limping out of the federal hiring freeze, despite President Trump ending the moratorium last week: the Transportation Security Administration is continuing the freeze for some positions. 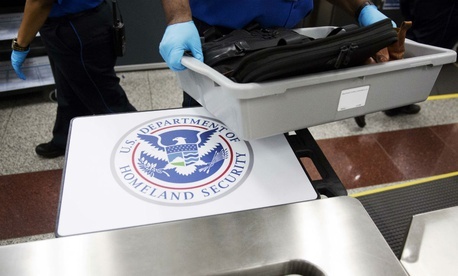 All non-front line positions will be frozen, TSA’s acting Deputy Administrator Gary Rasicot said in a memorandum to employees last week obtained by Government Executive. TSA joins the State Department, Environmental Protection Agency and Broadcasting Board of Governors in informing employees it will continue to block all or some hiring, despite the Office of Management and Budget ending the moratorium. Agencies are working on plans to restructure themselves and reduce the size of their workforces, with preliminary proposals due June 30. Other agencies cited the need to assess their current workforces as they develop those plans, in addition to budget uncertainty, as necessitating the continued freeze. OMB Director Mick Mulvaney said last week the freeze was intended as a temporary pause while a new executive team evaluated its enterprise. Ending the freeze, he explained, would allow “something that’s more practicable” and a “more surgical plan.” An OMB spokesman recently told Government Executive the agency would not engage in micromanaging.